MTN network decided to lash out another awoof offer for their customers by introducing to Nigerians a package called Awuf4u. Customers using MTN network can now enjoy a reward of 200% airtime bonus on every recharge made that is below the amount of N100 and also give free 300% airtime bonus on every recharge of airtime from N100 and above. Isn't that good? So if you are the type that make long lasting calls to friends, families and relations or probably to call business partners. Then this mtn newly launched special offer is for you life and direct. Already I can see the smile on your face right now for this package, without much talk let's get down to the way one can use this awoof. How The MTN Awuf4u works? For Example, when you recharge with N100 airtime, you will get N400 in Awuf4u account. That is, the summation of the 300% bonus ( which is N300) of which you got after recharging N100, and summing it with the N100 that yield the bonus gives you N400 totally. When you also recharge with the amount N750, you are entitled to get N3,000 in your Awuf4U account. In other words N750 (recharge value) + N2, 250 (bonus). >>You can send SMS to all network with it. >>When you recharge with N100 – N200 airtime, the Validity period last for 14 days before expiry. >>Then For N201 and above, the validity period last for 30 days. 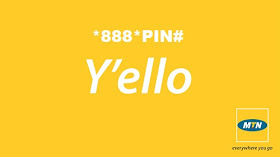 That's all to know about the MTN Nigeria newly released package (MTN Awuf4u) so do well to let others know about it. So Happy long lasting calls?